On Thursday, the struggling Jet Airways announced its third quarter results reporting net loss of Rs 732 crore, its fourth consecutive quarterly loss. It also announced a bank-led resolution plan to bring the airline out of its current mess. 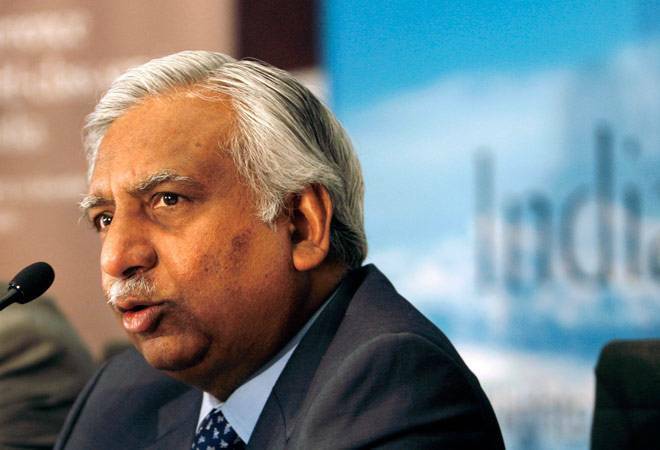 Under the resolution plan, the stake of Naresh Goyal, the chairman of Jet, is expected to fall from 51 per cent (as on December 2018) to about 20 per cent while lenders, led by State Bank of India, would become the largest shareholders in the Mumbai-based carrier. Under the new plan, the future of 69-year-old Goyal as the head of the airline remains uncertain. It's believed that Goyal has lost his bargaining chip for dragging the airline to a point where its survival is seriously under jeopardy. Industry insiders say that it's a daunting task -- if not too late -- to revive Jet at this stage, and having Goyal on the board wouldn't help much. So far, Jet management has stayed mum on the role Goyal is likely to play in the airline that he had started 26 years ago after working as an assistant in a travel agency. In a recent analyst call, the airline's CEO Vinay Dube said that "the promoter will be the Chairman of the Board. Jet Airways will continue the structure of a professionally run management reporting to the Board of Directors". As per the plan, the lenders would get to appoint their nominees on the Jet's board, which means that there is a possibility of Goyal losing control in the new set-up. "It boils down to Goyal," says an aviation industry veteran adding that because of Goyal's ego, the airline could not strike a deal with Tata Group. "Tatas allegedly wanted Goyal out. They might have retained Jet's identity but they wanted to derive synergies between Vistara and Jet, which needed Goyal to hand over the reins. For long, Goyal has been working on emotional impulse, rather than on corporate practicality. The key to Jet's survivability is Goyal's exit from the airline," says expert. The resolution plan estimates a funding gap of Rs 8,500 crore for Jet, including repaying aircraft debt of Rs 1,700 crore. So even as the new plan is expected to take care of the debt burden, but the airline will continue to struggle operationally as it is financially weak, and some of its aircrafts are grounded due to non-payment to lessors. A new leadership, appointed by lender banks, would further deteriorate the situation given the poor track record of bankers in running troubled companies. "We cannot afford to lose Jet Airways. It will be bad for the entire sector; the fares will surge and there will be pandemonium in the corporate sector," says Mark Martin, CEO of Martin Consulting. In 2015/16, the airline had returned to profitability after eight consecutive years of reporting net losses but its revival was short-lived. The problem with Jet started nearly a year ago when ATF (aviation turbine fuel) prices began to surge, and rupee depreciation jacked up the cost of dollar transactions. The higher capacity additions by the rival carriers led to drop in fares across the board, which affected the profitability. Since his acquisition of Air Sahara in 2006, Goyal is fighting one crisis after another. In the middle of economic downturn in 2008, the airline decided to lay off 1,900 employees but reinstated them later after huge backlash. In 2013, when Goyal was badly seeking a bailout, he found a partner in Etihad Airways, which was aggressively expanding its presence across the globe with mergers, and stake purchases in different smaller carriers. Although Jet strongly refutes, it is believed that Etihad uses Jet as a feeder carrier for its international flights via Abu Dhabi. But since most of the Etihad's global investments, including Alitalia and Airberlin, have turned sour, there's not much one can expect from Etihad. Goyal, who is known to pull a rabbit out of a hat, have refused to let go of the airline in the most trying times so far. But this time, he might have to give up his passion to let the Jet legacy continue.